A mix of clouds and sun. High 93F. Winds NNW at 5 to 10 mph.. Partly cloudy skies. Low around 60F. Winds light and variable. The Rent Stabilization Ordinance operating in Calistoga has served the mobile home parks in Calistoga well. The foundation of the Calistoga RSO is the zoning ordinance, which means that the grounds on which the current mobile home parks are built are zoned to be used as mobile home parks only. On top of that, the City’s RSO mandates a limit on annual space rent increases (rent on the dirt under and around each mobile home). That limit is each year’s official Bay Area Consumer Price Index (CPI). A foundational philosophy of Calistoga’s RSO is to maintain affordable housing for people over 55 whose budgets are mostly based on fixed incomes. In the last decade prices for fixed residential homes in the Napa Valley have gone sky high. Given that fact, a well cared for mobile home park is an attractive alternative for people retiring on a fixed budget. I recommend that the City of St. Helena adopt the proposed RSO (which I understand is based on Calistoga’s RSO) for Vineyard Valley. Editor’s Note: Singels is advocating a yes vote on Measure F, which will be on the June 4 ballot in St. Helena. 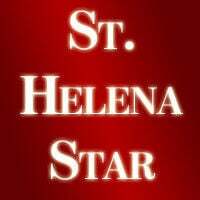 A judge is poised to dismiss a lawsuit challenging the wording of St. Helena’s rent stabilization ballot measure.